Whether you are in need of a trim to keep your hair looking healthy, or you are ready for a completely new look, enjoy a professional haircut at an incredibly low price. Mam’s provides top quality haircutting services for women, as well as barber services for men. Our highly experienced team of stylists can provide any haircut that you desire. Looking for a relaxed salon that will provide an enjoyable haircut experience for your little one? Look no further. At Mam’s, you will find a family-friendly atmosphere and stylists who love working with children. Every parent knows that growing kids have rapidly growing hair. We will be happy to keep those locks tamed at an unbeatable price. Whether you simply want to achieve that natural look while covering grays, or if you want to spice things up with a completely new color, at Mam’s we make changing the color of your hair much more affordable. 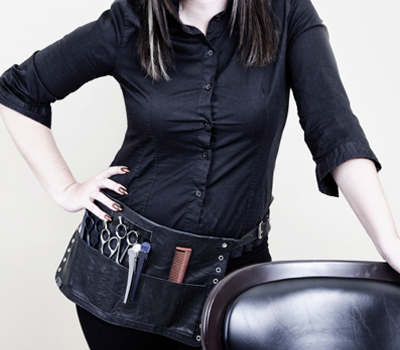 Our stylists have the experience and knowledge necessary to provide quality hair coloring services that you can trust. Highlights provide an excellent way to enhance the color of your hair, add variety, and help emphasize and frame the beautiful features of your face. Our stylists can provide you with highlights that are blended beautifully to get the results you desire. For an unbelievably low price, you can benefit from a professional perm, providing you with a beautiful straight, wavy, or curled style that can last up to several months. Tired of spending countless hours blow-drying and flat ironing your hair? A Hair relaxer relaxes the structure of your hair, resulting in a straight and smooth look. Relaxers can keep your hair tangle and curl free for a very long time. Stop in today to quickly upkeep your style and keep your beard or bangs looking polished. We will provide a precise trim with close attention to detail. Keeping your eyebrows looking perfect and free of stray hairs has never been easier or more affordable. Visit us today to achieve smooth and flawless results that will last for many weeks. Pamper yourself and your hair with a shampoo, condition, and blow-dry. Using professional products, your hair will feel tremendously soft and hydrated. You are welcome to add this service to your haircut for the comprehensive salon experience. Every Monday and Wednesday, we honor or elders with Senior Citizen Days. We welcome seniors to come enjoy inexpensive haircut services. Our stylists have many years of experience and can implement the techniques needed to keep your hair looking lovely and healthy. We have developed many strong relationships with our senior clients of Kaneohe, and look forward to building many more.